The inclusion of ethic and tribal identification questions could lead to discrimination and violence. Myanmar is scheduled to hold a census next month but local and international monitoring groups are worried that it could inflame ethnic and religious tensions in the country. The census, supported by several UN agencies, is deemed important because it has been more than 30 years since a nationwide census was conducted. Through the census, Myanmar’s demographic profile can be objectively determined, which would prove useful for policymakers and potential investors in planning for Myanmar’s development needs. But the census question on ethnic or tribal identification threatens to ignite more conflicts in the country. 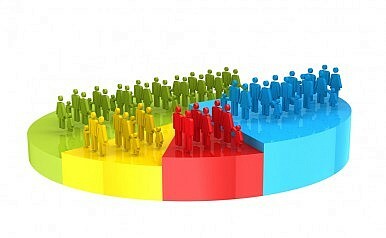 The census form requires citizens to choose from the 135 ethnic groups identified by the government. This listing, according to some scholars, is a colonial legacy that should have been revamped a long time ago. Several ethnic groups have complained about being lumped with other minorities while others claimed they were dropped from the listing. For example, the Palaung (Ta’aung) tribe questioned their inclusion as a member of the Shan race. “We, Ta’aung, settled down in this land before the Shan…We are not the same with other races. We live in mountainous area and have a different culture and language,” according to an official statement issued by the Palaung community. In Myanmar, most people identify as Burmans. An estimated 40 percent of the population is considered an ethnic minority, with the Shan composing the biggest minority group. The other major groups include the Karen, Karreni, Kachin, Chin, Mon and Arakan. To avoid misunderstanding, the government is urged to reclassify the listing based on a “democratic consultation” with ethnic communities. And while the government is doing this, some groups wanted the census delayed for another month. The postponement is also necessary to pursue the peace process in some remote areas where a ceasefire has not yet been finalized between government troops and armed rebels. The concern of ethnic groups is understandable because they might lose political representation if the census adopts the government listing of the country’s ethnic groups. Ethnic minister positions in local parliaments are automatically given to ethnic groups with more than 0.01 percent of the population in the area. The government is accused of deliberately bloating the number of ethnic subgroups to deny representation to some tribes. One concern about the inclusion of religion in the census is the destabilization it might generate. In particular, the census might confirm that Myanmar has a growing number of Muslims, which could provoke Buddhist extremist groups to incite more hatred and violence against the Muslim population. Kyaw Thu, head of the civil society consortium Paung Ku, thinks questions on ethnicity and religion should be dropped because the objective of the census is focused on development and economic projects. This reasoning was echoed by Tun Myint Kyaw, local coordinator in Mon State for the European Union-funded Rule of Law Project, who also reminded the government about its earlier commitment to remove the ethnicity and religion category from the national identity card. So much hope has been placed on the 2015 elections, which many believe will determine the success of Myanmar’s political transition. But the legitimacy of the election is endangered if next month’s census substantially alters voting constituencies and ethnic representations in favor of some vested political interest. There is still time for Myanmar to seriously rethink the content and procedure of the coming census. A quick look at peace efforts in Thailand, Myanmar, and the Philippines. ‘Young’ Myanmar Still Needs Strong Military Role, Says Army Chief Indonesia: The Downside of DecentralizationSihanoukville: A Cambodian City Losing Its ‘Cambodian-ness’Is Vietnam Creeping Into a Succession Crisis?What Does Jokowi’s Win Mean for Indonesia’s Economy?